The BT 3880 features the clear and simple Call Blocking technology. 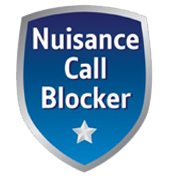 This amazing technology offers a simple solution to consistent nuisance calls. You can block up to 50 individual numbers, so you never hear from them again. The BT 3880 has a nice large 1.6" graphic display that is easy to read and will show you missed calls and voice messages you have received. With 15 minutes of recording time you have ample room for messages. You can save up to 50 name and numbers in the phonebook memory and these contacts are automatically copied over to all addition handsets so you will always have the numbers to hand on any handset you use. Environmentally friendly, the BT 3880 has Eco credentials which come as standard with this BT Phone and it's good to know the packaging it comes in is recyclable and made from FSC certified material. The BT 3880 uses a low energy power supply so is kind to the environment as well as your wallet.